조선 후기의 실학자인 다산 정약용(1762∼1836) 선생이 유배되어 11년간 머물면서 많은 책을 저술했던 곳이다. 정약용은 여유당(與猶堂) 등의 여러 호를 가지고 있으며, 천주교 이름으로는 요한(Johan)이라 하였다. 정조의 총애를 한 몸에 받았으며, 유형원과 함께 수원성을 설계하고 거중기 등의 신기재를 이용하여 수원 화성을 쌓기도 했다. 정조가 죽자 신하들의 모함을 받아 투옥되어 유배되었고, 그 후 18년 간의 유배생활 동안 그는 많은 저서를 남겼다. 정약용의 사상은 한국사상의 원형과 직결된다고 할 수 있다. 이 곳에서 11년 동안 머물면서 『목민심서』와 『경세유표』, 『흠흠신서』를 비롯한 500여 권에 달하는 많은 저서를 남겼다. 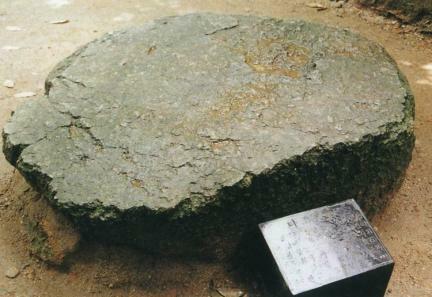 그리고 이를 총정리한 『여유당전서』는 ‘철학’, ‘법제’, ‘종교’, ‘악경’, ‘의술’, ‘천문’,‘측량’, ‘건축’에 이르기까지 우리나라 장래에 도움이 될 학문의 방향을 제시하였다. 이는 세계적으로도 학술적 연구자료로 평가되고 있다. 옛 초당은 무너져서 1958년 강진의 다산유적보존회가 주선하여 건물이 있던 자리에 지금의 초당을 다시 지은 것이다. 작고 소박한 남향집으로 ‘다산초당’이라는 현판이 걸려 있다. 초당 뒤 언덕 암석에는 다산이 직접 깎은 ‘정석(丁石)’이라는 글자가 새겨져 있으며, 초당 왼쪽으로 자그마한 연못이 있다. 앞 뜰에는 차를 달였다는 ‘청석’이 있고, 한 켠에는 ‘약천(藥泉)’이라는 약수터가 있어 당시 다산의 유배생활을 짐작하게 한다. 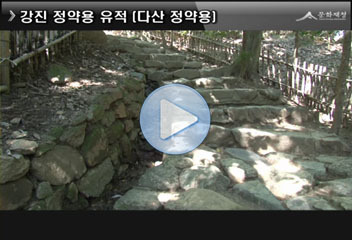 Jeong Yak-yong, a famous realist of the late Joseon Dynasty (1762-1836), was exiled here. For the eleven years here, he wrote lots of books. Dasan, which is his pen name, established his political and scholarly achievements as a favorite of King Jeongjo but was banished for eighteen years due to his faith, Catholicism. He wrote about 500 books including Mongmin simseo (Admonitions on Governing the People), Gyeongse yupyo (Design for Good Government), and Heumheum simseo (Toward a New Jurisprudence). 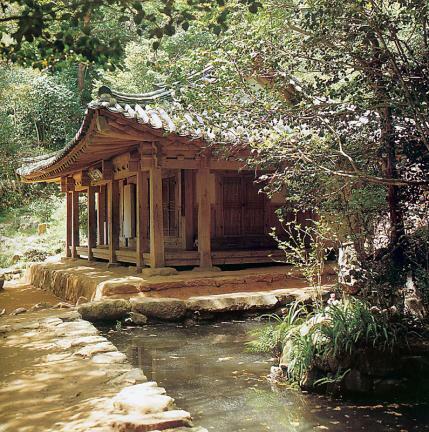 Yeoyudang jeonseo (A collection of Jeong’s literary works), which puts together all his works, presents the academic direction concerning philosophy, laws, religion, medicine, musical art, astronomic phenomena, measurement, and architecture. It contributed academic establishment as a worldwide research material. 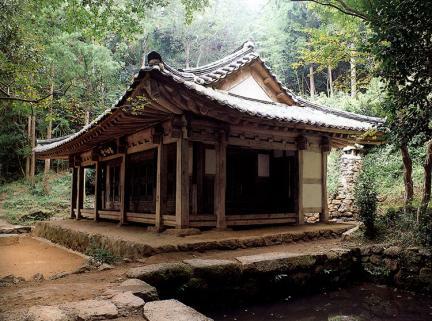 For the old cottage broken down, the association for keeping the Dasan relics took the initiative in rebuilding the thatched cottage in an old site. 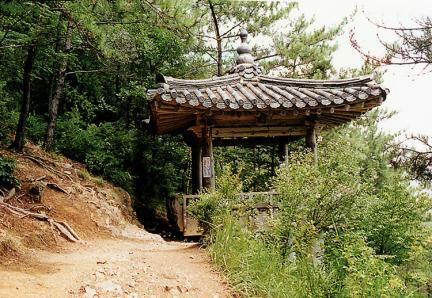 The little and simple house toward the south has a tablet marked “Dasan Chodang (Thatched Cottage on a Tea Mountain)” hanging. 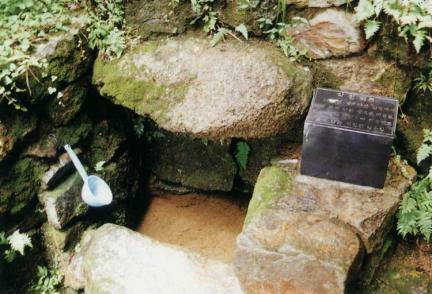 He inscribed "Jeongseok (丁石)" on a rock over the hill from the back of the house. There is also a small pond located on the left side of the house; in the front yard is pure stone to make tea, which gives us a glimpse of what his life in exile was like.